The Arad Fort is a 15th century fort in Arad, Bahrain. Since the 15th century, this fort has been extensively renovated and during the night time hours is highly illuminated and visible. When visitors cast their eyes on the fort at night, they are greeted with a beautiful scene. For a small fee, there is a tiny museum you can check out before further exploring the actual fort. The Portuguese occupied this fort in the 1500’s and later on it was taken over by Arab control. Coral limestone and palm tree wood were used for the construction with nearby wells providing fresh water sources. This fort was originally built to control the water transportation surrounding the main Bahrain Island and a small island close by called Muharraq. In the 1800’s, the Omanis briefly occupied this fort. But, all in all, there is not enough information surrounding the fort to do any justice to its history. If there was an incredible amount of history surrounding the fort, then it hasn’t been discovered yet. What we do know is that the waterway that allowed people access to Muharraq Island was controlled by the fort. Nobody gained access to the island without first clearing its passage with this 15th century military fort. And if visiting the Arad Fort isn’t enough, there is a second Bahrain place of interest you may find interesting. The Tree Of Life, a 200 year old mesquite tree all alone in the middle of the desert, has survived a long time as the only living tree for miles around. The water source of the tree is still a mystery to this day, and nobody knows how on earth it is still surviving. But it is. Green and lush as you can imagine, this gigantic tree stands as a testament to the amazing ability of foliage to survive some how, some way. Maybe the Tree of Life has found an aqueduct underneath the desert sand. It’s a possibility, stranger things have happened. Whatever the case, the Tree of Life is green as can be, and it never ceases to amaze the people who see it. You could go see the tree of life as well, and be held just as captivated by its health and ability to sustain itself in a desert with no other green plant life for miles. 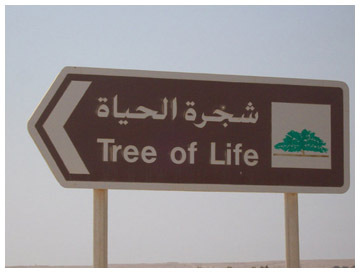 Located 1.2 miles from the Jebel Dukhan, the Tree of Life is visited by many tourists throughout the year. Visiting the tree won’t take more than a few hours, as it is just a tree after all, so plan your trips accordingly. It has become a piece of cultural history, with many people including it in their religions and beliefs about the origins of life itself. While these claims may or may not hold any water, the tree does. Somehow, through some miracle of modern evolution, this tree has survived. Come see the Tree of Life and bear witness to this incredible feat of survival. Travelling to Bahrain? 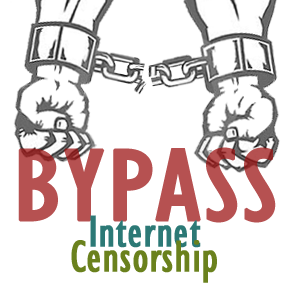 Check this.